Home › Victoria › Melbourne › Association Or Organizations Near Me in Melbourne › Opera Society Inc.
Opera Society Inc., association or organization, listed under "Association Or Organizations" category, is located at 45 Williams Street Melbourne VIC, 3000, Australia and can be reached by 0396853757 phone number. Opera Society Inc. has currently 0 reviews. Browse all Association Or Organizations in Melbourne VIC. 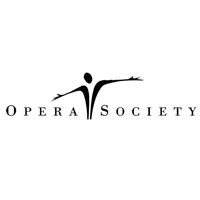 Give to Opera Society Inc.